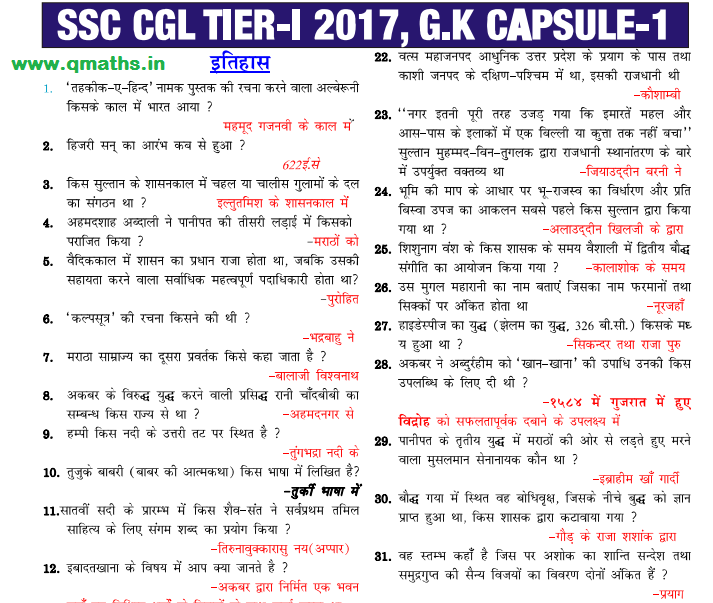 Today we are sharing an important PDF of Static GK Capsule for SSC CGL 2017 Tier-1 Examination PDF in HINDI. This GK compilation is important for many competitive examinations like SSC CGL, CPO, CHSL, MTS, BANK PO / Clerk and other exams. You may download this PDF from the link provided below.